The diabetes technology area has grown so much over the years. 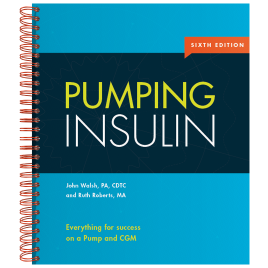 There are a number of companies jumping into the field with different ways to pump insulin. We've listed a few below. The Cellnovo patch pump has garnered a lot of attention since it's initial mention in 2009. With it's small size and well designed handset, pumpers can't wait to get their hands on this device. Debiotech has been working on their MEMS Nanopump technology for many years. MEMS (Micro-Electro-Mechanical System) puts all the system programming on a tiny chip. Like the other patch pumps, it's a 2 part system: the reservoir with pumping mechanism that attaches to your body and the display device. Status: Has FDA approval. Acquired by Roche in March 2010. Predicted to launch in 2012. The Solo system has made two parts, the MicroPump and the Remote, which work together wirelessly. The MicroPump is made up of a disposable 200-unit insulin reservoir and a 90 day reusable Pump Base. It is attached to your body with a "cradle" that houses the canula used for insulin delivery. The pump has side buttons that allow quick ad easy blousing without the Remote. The BetaWedge is a small, wearable, replaceable patch pump. It is named after the pancreas beta islet cells, responsible for producing insulin. Filled with insulin, it is worn on the body for three days. Using a small flexible cannula inserted under the skin, it delivers programmed doses of insulin, based on commands entered on the PDA. The Pancreum PDA is a wireless, Bluetooth enabled, hand-held device that interfaces with the glucose sensing and insulin/glucagon delivery devices. The PDA displays glucose readings and trend graphs. It runs a leading-edge algorithm that calculates and suggests insulin and/or glucagon delivery doses. It accepts the confirmation or modification for the suggested doses and relays them to the wearable devices, based on your commands or automatically if enabled to do so. Also anticipated in the system is the AlphaWedge wearable pump for delivery of glucagon and iPancreum Apps which are software apps that run on a PC or phone for managing diabetes.